I would like to introduce a public hangout with Sergei and me (https://www.aeternity.com/#team) on a weekly base for everyone who is currently building something on aeternity or wants to build something in the future. Our goal is align the different projects better and of course we will answer questions. If you run or use Brave please deactivate the “shield” on jit.si or you won’t be able to hear anything. So what’s the outcome? what have you discussed? Any great ideas, guy? We mostly discussed latest developments and what comes next - we’ll share a recording soon. Next public hangout will be on February 20th! Is there a recording somewhere? Unfortunately I could only attend parts of it and would like to rewatch it. Great, thanks. Keep in mind that these calls are also a good way of communicating the current progress to the broader community. It would probably be a good approach to host these sessions on a more accessible platform like Youtube. Hey @pascuin, we are trying to make those sessions as accessible as possible but at the same time we aim at choosing a more secure platform. 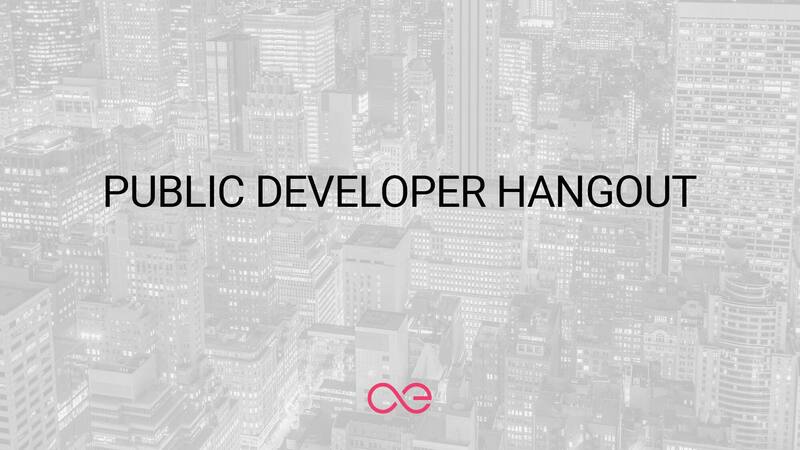 Don’t forget that the second Public Developer Hangout is taking place tomorrow - February 20th! This time it will be in the afternoon - 5.30 PM CET! Same place - find the link to the call here. I understand, but the platform where the call is held and where the recording is being uploaded too are two different shoes. The recording should be as accessible as possible as well as communicated through all the channels. We will do that, but the first call was more or less a test one and there were not so many questions. Please ask your questions on these topics or any others related to development here in this thread. I follow Aeternity from a user perspective and I cannot wait to have aepps to play with and get my friends involved. So what is the state of the aepp development? I am also very interested in the messenger app (listed on base aepp). But as I understand the messenger is currently not a priority. But I think it would be really helpful to bring people to Aeternity by having a cool messenger app to chat, where I can also send AE easily e.g. with usernames. (Something like status.im , but of course cooler )What other enduser apps can I expect within the next 3 month? What is the status of the proof of existence aepp, and when will I be able to use this (easily)? I really love that you use Jitsi and not Google Hangouts (for privacy reasons)! Privacy: As I understand the philosophy of Aeternity was, that if somebody would need private transactions, he can go off-chain and use state channels. Tezos blockchain announced that they will add the zk-SNARKs protocol (of ZCash) for private on-chain transactions. Has Aeternity discussed measures for on-chain privacy? And what is your opinion on zk-SNARKs (in regards to Aeternity)? For next time, join us and have a chance to talk with our devs directly! is it possible to execute smart contract function automatically ? e.g. executing smart contract when reaching some block height without interaction from outside world.